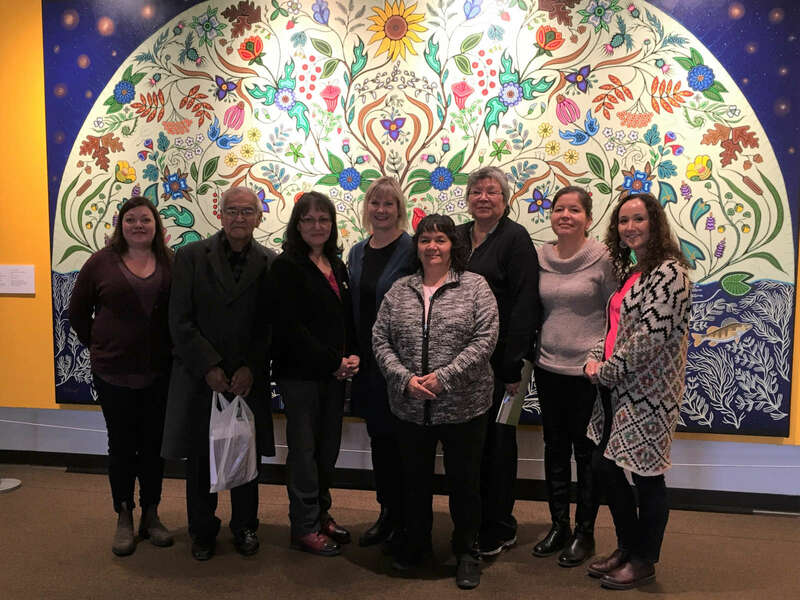 The Ontario Caring Advisory Circle (OCAC) demonstrates leadership by guiding the identification and development of culturally appropriate resources to support Indigenous residents in long-term care. Membership of the OCAC is comprised of 11 members that have knowledge and expertise in long-term care and Indigenous culture. Members are a mix from northern and southern regions of Ontario. The OCAC has created a five-pillar approach to their terms of reference. These five pillars form the foundation of the work and represent the commitment, interest, and duties of the advisors. As the OCAC continues to grow and develop, it hopes to become a standing body that will advise not only the Ontario CLRI on important work, but additionally advise government ministries, organizations and researchers working to improve the health and well-being of Indigenous residents in long-term care. The initial gathering of the OCAC took place on April 24, 2018 at the Toronto Birth Centre. At this meeting, the OCAC came together to plan their shared vision for the work ahead. Through process and spirit, these terms of reference were birthed. The OCAC meets monthly via teleconference. Ontario Caring Advisory Circle, October 24, 2018. Left to right: Christine Lynn, Hammond Lac Seul, Kathy Loon, Sue Anderson, Barbara Antone, Teresa David, Cheryl Osawabine-Peltier, Danielle Alcock. Missing: Larry Spence, Vincent Barry Lazore, Dawn Russell.